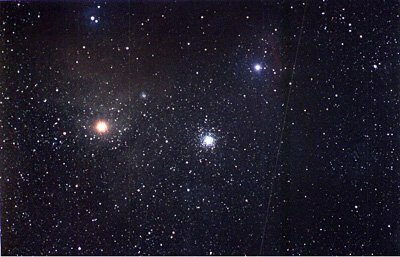 The area around the brightest star in the constellation of Scorpio, "Antares". The globula cluster to the right is M4 (NGC 6121). Anatres is a super Red Giant star. Taken through the Pentax 10cm astrograph @ f/4, piggy-backed on the C-14.